2.5-Gallon Barrel Beverage Dispenser Just $14.99! Down From $43! You are here: Home / Instagram / 2.5-Gallon Barrel Beverage Dispenser Just $14.99! Down From $43! 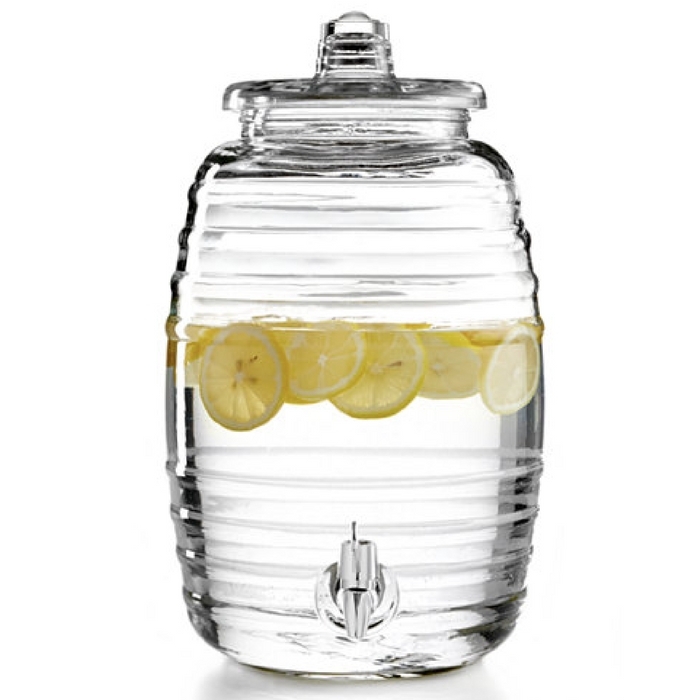 Hurry and hop over to Macy’s to score this 2.5-Gallon Barrel Beverage Dispenser for just $19.99 down from $43! Plus enjoy FREE Store Pickup or get FREE Shipping with any Beauty Purchase or on orders of $99 or more. Make your next party more entertaining and fun-filled with this 2.5-gallon barrel beverage dispenser. Fill it with your favorite punch, juice or other beverages that will surely quench everyone’s thirst. Crafted in clear glass with rippling lines throughout, this dispenser helps you host with ease and make everyone feel happy and merry. Get yours now before the price goes up again!